*You must wash ALL diapers & covers prior to first use 3-5 times: This must be done so your diapers can be at their full absorbency. 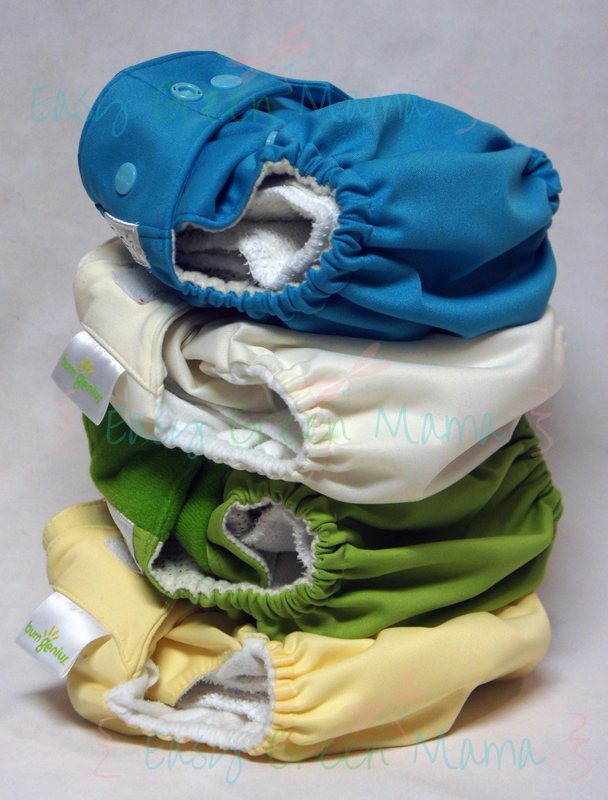 Washing will remove the natural oils and waxes that will hinder your diapers absorbency. I recommend you wash 5 times with hot water and use a small amount of detergent. *ONLY use cloth diaper safe detergents. Detergent can affect many aspects of your diapers: absorbency, odor, and how long your diapers will last. *Wash cloth diapers regularly. I suggest every 2-3 days. This will keep stains from setting in and will discourage mold growth. *Wool products hand washed every 2-3 weeks. *No fabric softeners, no optical whiteners or brighteners, & no enzymes. *Never use chlorine bleach on cloth diapers. Step 4-Separate out diaper shells/covers to air dry. Everything else dry on a medium setting with 6 dryer balls and two large towels to help reduce static and dry quicker. *Stained diapers I line dry outside for sun to naturally bleach. For really bad stains I spray a little lemon juice and then line dry. I use a portable clothes rack because I don’t have enough room for a traditional clothes line. The Household Essentials 3-Arm Portable Umbrella-Style Clothes Dryer works great for me and was not too expensive. I just found this post. I really like your idea to throw a couple towels in the dryer to make the inserts dry quicker. I hadn’t thought of that!